Peak Milk is a brand owned by the world’s largest diary cooperative, Friesland Campina, with over 30 brands and present in 32 countries. It has a significant presence in West Africa and is the market leader in Nigeria. 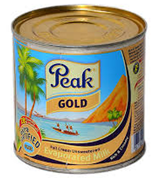 In Ghana, its most popular brand is Peak Milk. 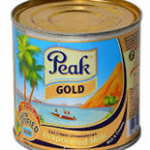 170gm evaporated Peak milk tin. Rancard technology delivered the objectives with the Rendezvous Campaign Manager (RCM) and mobile Message Server (RMS). The platform also provided a rewards redemption system that enabled customers of Peak to text in a 12 digit batch number to a toll-free short code to redeem various prizes. RCM enabled constant measurement and optimization of the multi-pronged campaign to optimize the user experience and boost outcomes. 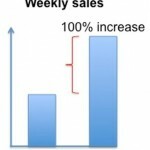 Rendezvous Campaign Manager helped deliver approximately 100% increase in weekly sales on an average over the pre-campaign period.